I love wine. I really love wine. I was raised in a family that appreciated the vine and educated itself about new and interesting strains; well now it just sounds like science, but truly, when you love wine, you get very excited about the notion of trying one you haven’t tried before (or even better, sipping one you know you love). So naturally, when I was planning my trip to Northern California, there was no way I wasn’t going to go to Napa, at least for the day. So that’s exactly what I did. I scheduled myself a tour of the grounds followed by a wine tasting at three wineries, and lunch (because drinking fermented grapes isn’t considered a meal – unfortunately) at another location. 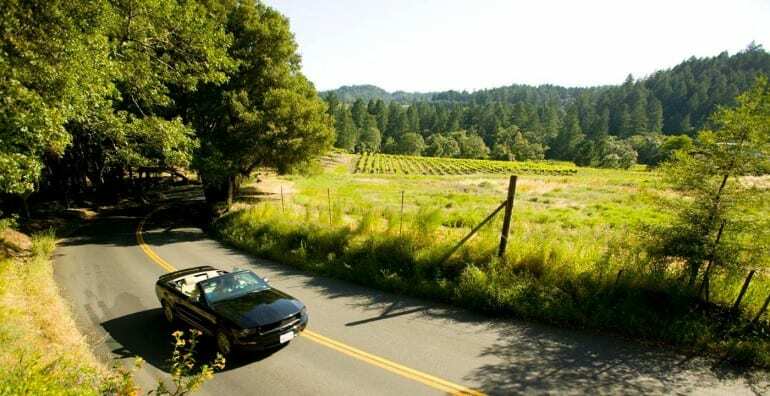 Napa Valley, California is considered to be one of the best places to grow grape vines, and therefore vineyards. Want to know why? Because it has the perfect climate! I learned, while on my trip, that the cold temperatures at night, combined with the warmer temperatures during the day, in conjunction with the quick change between them, is the perfect distress the grapes need to grow delicious and strong. In the essence of full disclosure, I made it late to this place. I didn’t realize how long of a drive it would be from San Francisco to Napa. Don’t worry, I still got a great tour and tasting. First of all, it was an absolutely gorgeous August day in Napa. I was wearing a jacket for goodness sake, in August! Needless to say I was in heaven. 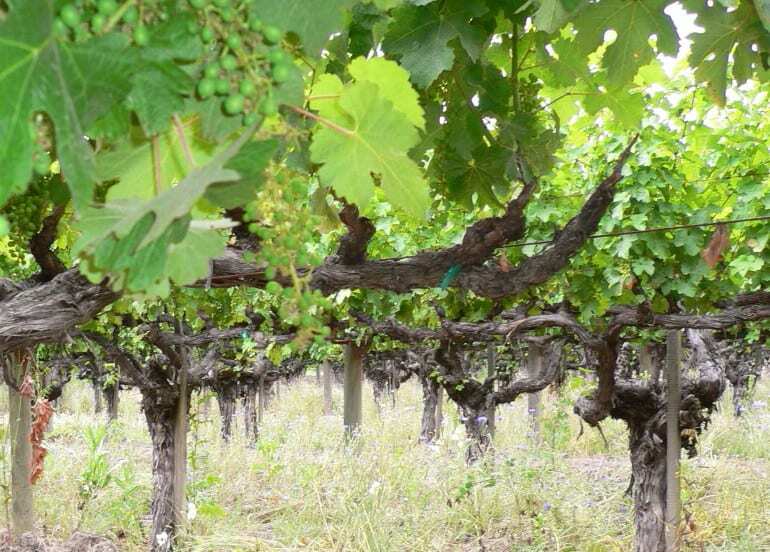 I toured the seemingly-endless vines, while overlooking the hills surrounding the property. It was magical. And it was harvest season, so the grapes were still on the vine and so plump they were about to burst. I walked around the Cabernet and the Syrah, the Sauvignon Blanc and Zinfandel; I was beginning to get a little thirsty from all of the walking. 2013 Calistoga Zinfandel: My favorite of the three. This one was all about subtle espresso and woodsy flavors – I had a blast. 2013 Napa Valley Cabernet Sauvignon: Dark, heavy and slightly chocolaty. Perfect for a chilly weather sip. 2014 Napa Valley Chardonnay: fruity, floral, and oaky, all at the same time. A synergy of flavors that was delightfully heady. Let’s get the elephant out of the room on this compound. It’s an honest to goodness castle. 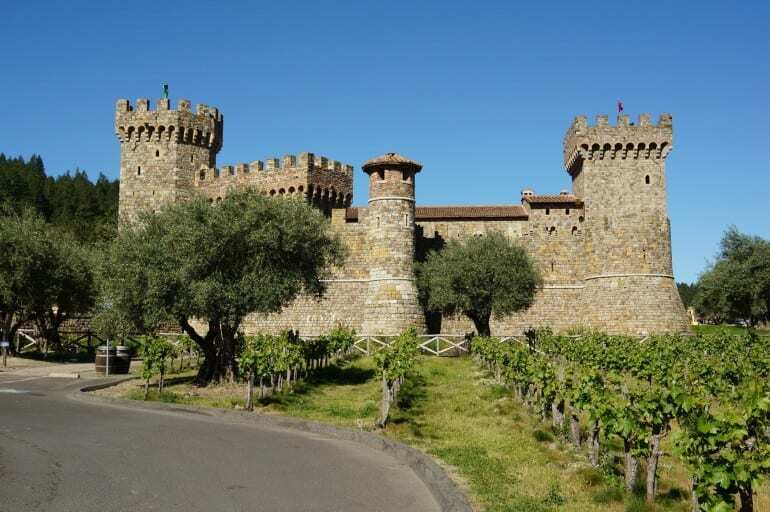 The owner of this winery has a slight obsession with Italian castles and had the winery grounds made to perfect the Italian style. He even brought in all of the castle’s accessories from castles all over Italy – now that’s dedication! We toured the grounds, which included a dungeon, yes a dungeon, filled with medieval torture devices (so cool! 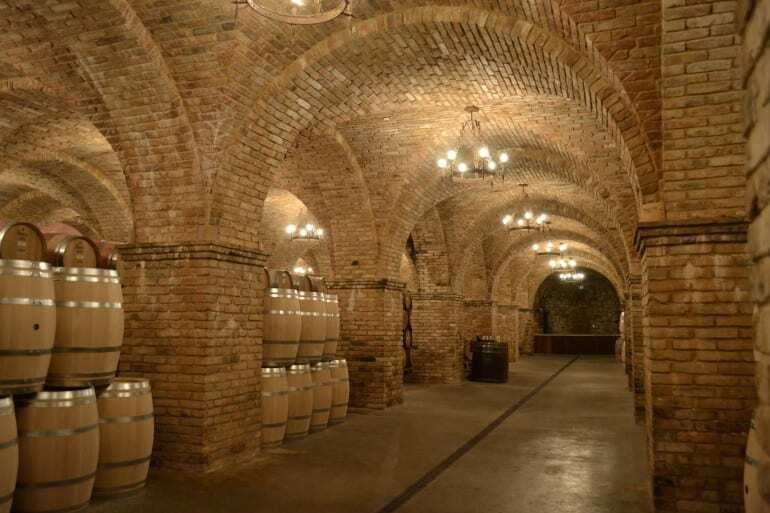 ), we then went farther underground to where the oak and metal barrels were placed, in a perfect natural temperature of 58 degrees Fahrenheit. It’s mind blowing how large this place is, the amount of rooms, floors, barrels, and bottles! It made the whole group of us salivate before getting to the tasting room, an hour and a half later. It was well worth the wait though. We went into a long chamber with glasses mounted on the bar counter. Our tour guide, Steve, who also happens to be the VP of Marketing for the vineyard, was behind the counter eagerly waiting our arrival and settlement in the room. 2012 SANGIOVESE, Napa Valley: Dried flowers, spicy and wild at heart. This wine won me over from the start. 2012 IL BARONE Reserve, Cabernet Sauvignon: We weren’t supposed to taste this one, but Steve really liked us so we got a taste. This one was an earthy taste, followed by some cinnamon – perfect for wintertime drinking. I call it a dessert wine even though it technically isn’t. Slightly sweet for my palate, the 2013 Brut Sparkling Rose is super refreshing and chilly going down. The bottle itself is really pleasing to the eye as well (yes I care about such things), although it doesn’t make or break it for me. After the first two wineries and their heavier bouquets, this one was really nice to finish things off with. Granted, by this point I was three sheets to the wind; I mean I must have had at least 5 glasses of wine in total. That’s a lot, even for me. However, I didn’t let fact that I wasn’t entirely sober to spoil the beautiful setting I was in. 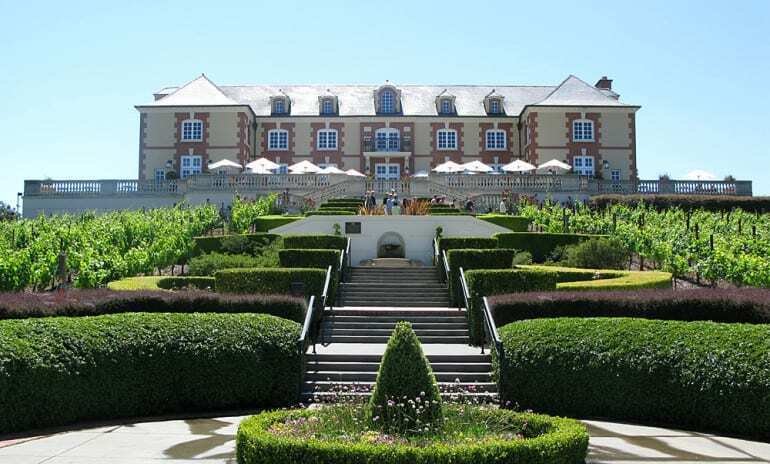 Domaine Carneros’ grounds are breathtaking in their view and the quality of their facilities. The main building, where you have your wine at first, has a modern classy feel to it. When you walk outside, the terrace is very well organized with lined cushioned chairs and greenery everywhere. Honestly it was one of the most relaxing spaces I have ever been in. Once all the drinking was done, and man was that fun, I had to actually eat something or I would have passed out. Lucky for me, Solbar in the Solage resort, Calistoga had room for me. I didn’t know until after I ate there that this restaurant has a Michelin star! Talk about a lucky break. The inside is a gorgeous modern and comfortable design, but I chose to sit outside (I am in Napa Valley after all). The courtyard sits beneath large lush trees that have lights weaved between their branches. The tables and chairs are super cozy and plush. I could sit there for hours; I kind of did. Their menu is varied and delicious, I ended up getting the simple friend chicken sandwich that came with a side of potato salad – it was do die for! It was so relaxing to end my day in Napa, sitting under the trees and sky, looking around at the hills that are so common in this area, listening to the birds flying around looking for a perch. I found a rare moment of silence in a day that was filled with facts about wine and a flavor combustion on my palate. I just sat there thinking over everything I did, and was first proud that I didn’t trip over anything after all that wine, and secondly, that I learned so much about a topic I was raised to love and respect, only to come out of that day with even more appreciation for the art of wine making. 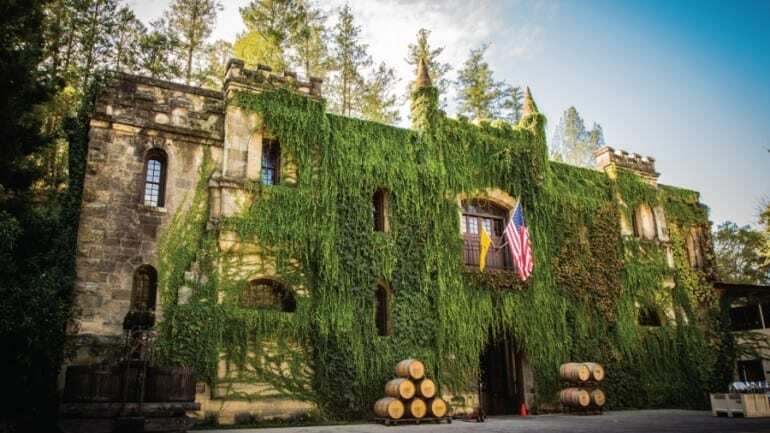 If you ever find yourself in Northern California, take advantage of the huge amount of wineries (not necessarily the ones here), and broaden your palate with some new and awesome flavors.